Could Silicon Valley Change the Calculus in the South China Sea? Silicon Valley startups are developing technologies that could bring greater transparency to a troubled region. With 72 percent of Earth covered by water, Maritime Domain Awareness (MDA) is a big deal. Over 90 percent of the $18 trillion in global trade moves via ocean-going container vessels, creaking ships that lumber from port to port, are staffed by few, and tracked only intermittently by Automatic Identification System (AIS). Automatic Identification Systems (AIS) are maritime signals mandated by international law that – in theory – allow authorities to monitor the name of the ship and its ID, its origin, destination, speed, heading, cargo type, and global position (GPS). In practice, terrestrial-based AIS are blocked by the Earth’s horizon roughly 50 miles off the coast from which they track, and therefore don’t even extend over the 200 nautical mile economic zones that follow coastlines. The result is an effective blindness to where most ships are most of the time. Given these limitations, the only way to effectively monitor vessels via AIS is from space. Satellites, running in polar (or north-south) orbits, scan the oceans for AIS pings, but because of high launch and development costs, the density of satellite coverage is low, and so most traditional AIS are updated roughly four times per day. For the roughly $32 billion spent in annual maritime insurance this means there is little proof of claim or third-party verification of where a ship might have been, when headings had been changed, or who was culpable. For the roughly 20 percent of global seafood catch lost due to illegal fishing, there is little proof on where and when the $20 billion in annual lost seafood was actually pulled from illegal waters. For governments like the Philippines or Japan, there’s less maritime domain awareness data on potential incursions into sovereign waters, or else acquisition of that data comes at lower frequency and from international partners. These issues, in addition to others, could be addressed with greater satellite coverage providing higher frequency AIS. 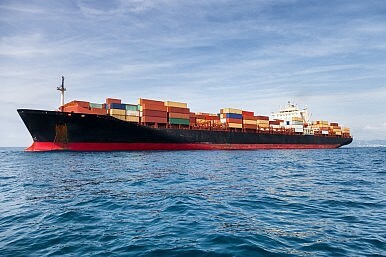 If ships were tracked 12 times per hour, or every five minutes, it would not only provide peace of mind for the companies shipping roughly $16 trillion in goods over the oceans, but would also be easier to prove insurance claims, stop fisherman from moving into illegal waters, and halt pirates from taking over vessels. And with better AIS, the world community could better enforce sanctions such as those on North Korea. North Korea is notorious for arms smuggling, narcotics trafficking, and counterfeiting, yet we can’t seem to keep track of North Korean ships. In July 2014 the Mu Du Bong disappeared off the commercial shipping grid, and failed to signal via AIS for nine days. While it could have been innocent, it’s still disconcerting. In 2013, the Chong Chon Gang, another North Korean vessel, stockpiled 240 tons of arms and two disassembled MiG-21 fighter jets underneath 200,000 bags of Cuban sugar, and disappeared for 10 days by turning off a transponder. These acts threaten global peace and security, and could be addressed by better technology. Furthermore, as China asserts its claims in the East and South China seas, foreign governments are increasingly aware of the need for MDA beyond their immediate shores, and what terrestrial AIS provides. They are therefore reliant on satellite coverage AIS, typically provided by an international partner. With the South China Sea providing 10 percent of the global fish catch, carrying $5 trillion in ship borne trade per year, and believed to be rich with energy reserves, blockades and maritime spats have geopolitical ramifications. Yet first-party data provided by the United States government on potential ship movements is politically weighty and can be interpreted as taking sides in a complex region and set of relationships. In recent years, Washington has made overtures to Silicon Valley to increase bi-coastal dialogue. In 2012, President Barack Obama and his U.S. Chief Technology Officer Todd Park unveiled the Presidential Innovation Fellows program – modeled off the White House Fellows program that was established in 1964 – to enhance dialogue between leaders in technology and leaders in policy. Silicon Valley is not a panacea, but it is the world’s innovation capital, and it can provide an orthogonal perspective on solving public-sector problems. Over the past decade, the Internet has flattened global information, while increasing returns to scale have reduced cost, and broadened access via the supercomputer in your pocket, also called a smartphone. Whereas once-cumbersome hardware created large cost barriers to startups, today cloud hosting enables companies to scale exactly with their demand, maintaining a lean profile, and growing faster, and with less investment capital. The results of these trends mean there are cheaper, faster, more widespread technology startups. With decreasing cost and increased access, “software is eating the world,” as venture capitalist Marc Andreessen often says. What this means is that mobile, social, big data, and analytics are starting to disrupt new verticals, and influence new categories like shipping, logistics, global trade, aerospace, and international security. Peter Platzer was a physicist turned Wall Street quantitative trader who went from napkin to space in 12 months, launching Spire, a big data company powered by nano-satellites that is addressing a number of non-traditional global markets from its San Francisco startup office. Powered by $25 million in venture capital investment, Spire is building a constellation of small satellites to address global maritime trade and security. This lightweight constellation of satellites will listen to the three-fourths of the world covered by water, providing consistent data on every ship every hour, improving AIS frequency and therefore maritime domain awareness. The implications of increased information and decreased startup cost mean that a San Francisco startup can launch a nano-satellite in under one year, and piggyback on global launch payloads to get a constellation of low-cost sensors into polar orbit at a fraction of the cost and with higher iterative ability. Whereas large-scale aerospace projects cost hundreds of millions, these satellites cost only thousands. As a result, they can be updated with improved software on faster timelines, and scale with the pace of innovation. While the implications exist for AIS and MDA, they also exist for weather data standards like GPS Radio Occultation (GPS-RO) and Automatic Dependent Surveillance Broadcast (ADS-B) for airline tracking. For Japan, Vietnam, and the Philippines looking to improve MDA around their territorial waters, the answer to addressing Chinese assertions could be in San Francisco rather than Beijing or Washington. Higher frequency AIS would give them private third-party data not reliant on public U.S. geopolitical balancing, and it would give them raw data with which to push back through bi-lateral diplomacy and through international law. Additionally, higher frequency AIS would help safeguard the roughly $16 billion in global trade moving via ocean-going container ship, reduce waste in insurance claims and resulting arbitration, and limit illegal fishing. It would help stem the $6 billion lost due to global piracy each year, and it could help sanctions enforcement. Overall, Silicon Valley isn’t the answer to all problems, but it does offer technology that pushes the envelope, reduces cost, and increases access. In the case of maritime domain awareness and security, turning to some of the newer third-party data solutions like Spire coming out of San Francisco, could positively impact peace and security. Scott Hartley is a Silicon Valley venture capitalist, Term Member at the Council on Foreign Relations, and a former Presidential Innovation Fellow at the White House. He is also an advisor to Spire, Inc.
‘Pacific Blitz’ focused on expeditionary bases and naval control.